Fashionable and functional, the Ashley Champori 3-Piece Table Set's sweeping tulip design really shines! 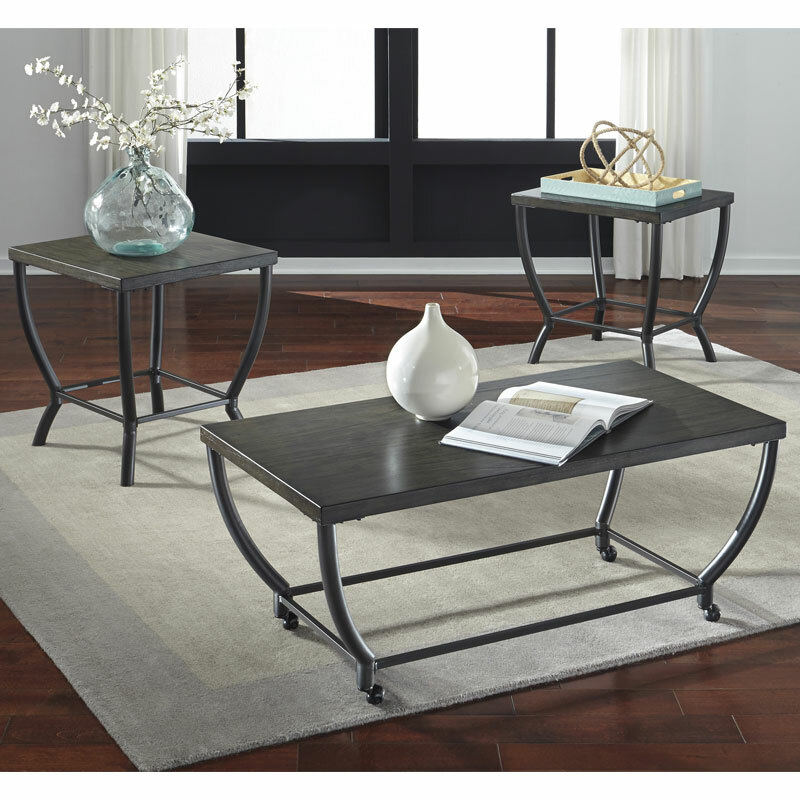 Featuring a Gunmetal finish, each table in this trio has a tubular steel base that supports a grayish brown tabletop. Set includes 2 end tables and 1 coffee table.